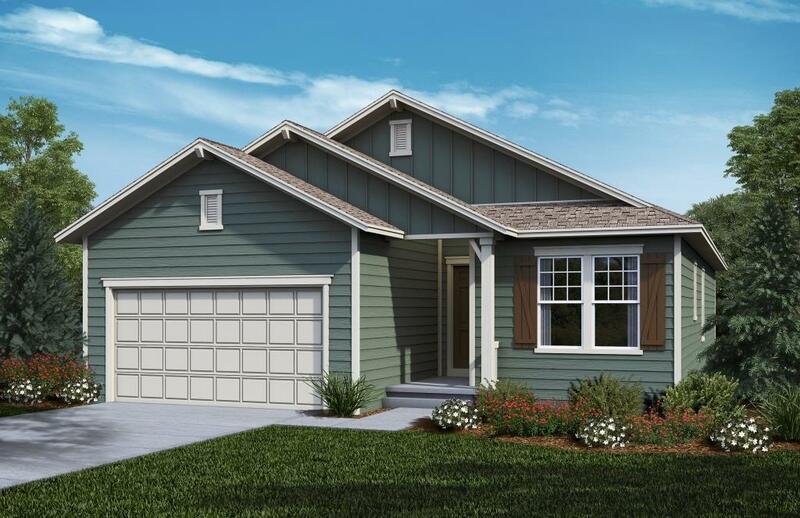 The Chaucer is a functional, open, ranch plan. Upon entering the home, you will find two bedrooms near the main bathroom. Down the hall you’ll find a large den that is perfect for a work from home space or hobby room. The spacious kitchen, with an island, features low maintenance wood floors and Whirlpool appliances. The large, airy great room features designer selected Sherwin-Williams Zero-VOC paint and Shaw Industries carpet. 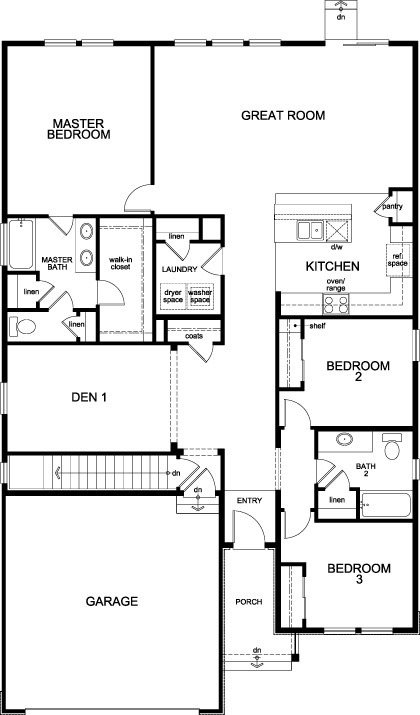 The master suite features a walk-in closet and master bathroom. 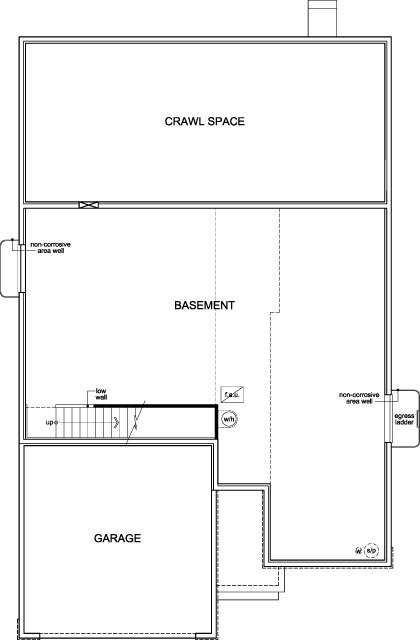 Storage won’t be an issue here as there is a coat closet, dedicated laundry space with linen closet, two linen closets in the master bathroom, and a partial basement.